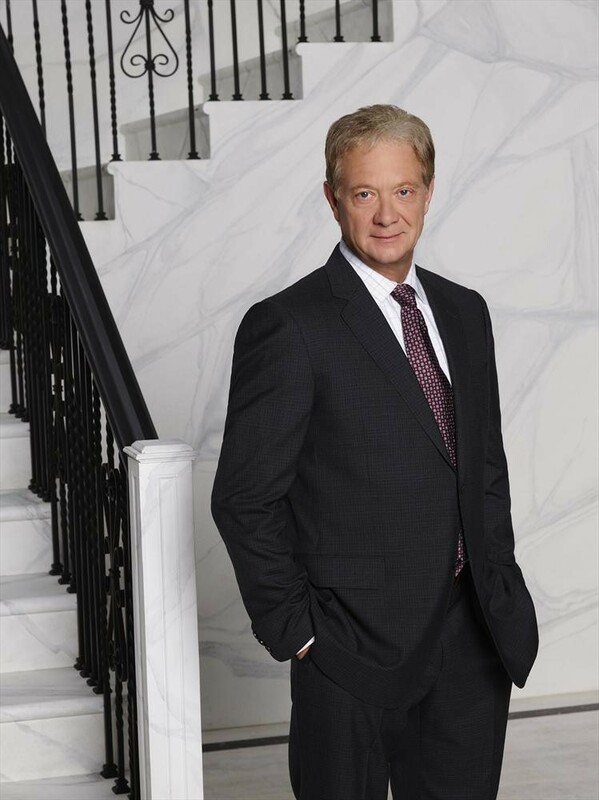 Get ready for it, Scandal fans. 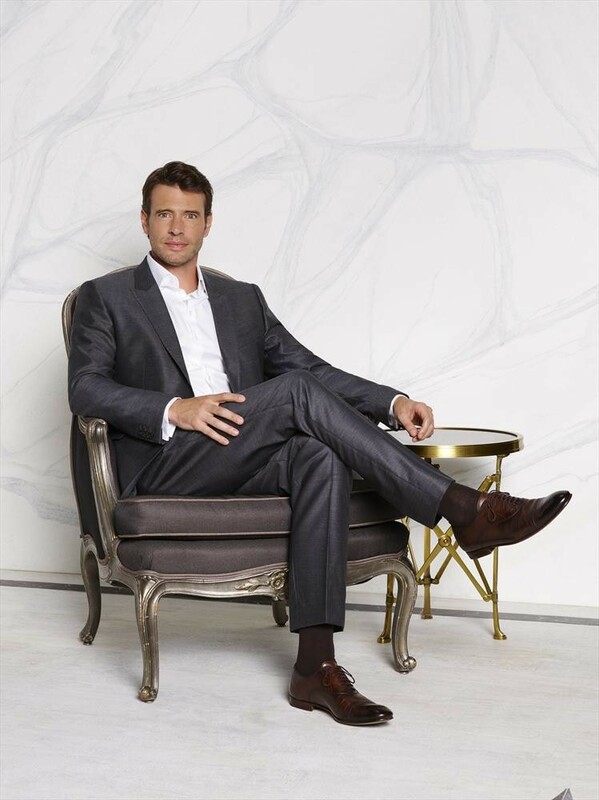 The juicy ABC drama returns in just over two weeks, and to whet our appetites, ABC has offered up some fantastic promotional photos, which show off the lead characters looking their absolute best. 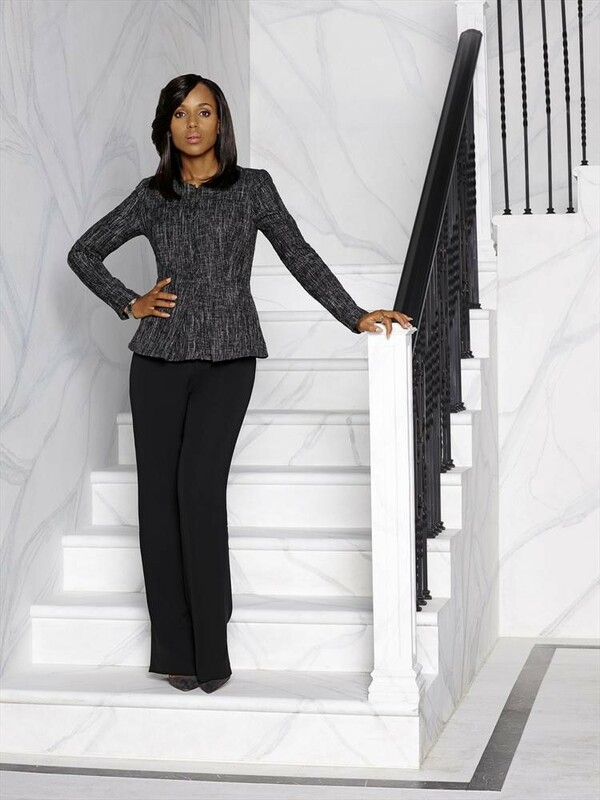 That includes the above panoramic shot of everyone who matters, dressed in formalwear, with Kerry Washington's Liv at the center, dressed in black and her signature ivory. Looking at the photo, from left to right, we have First Lady Mellie Grant (Bellamy Young), Abby Whelan (Darby Stanchfield), Cyrus (Jeff Perry), President Fitzgerald Grant (Tony Goldwyn), Olivia Pope (Kerry Washington), Jake Ballard (Scott Foley), David Rosen (Joshua Malina), Huck (Guillermo Diaz) and Quinn Perkins (Katie Lowes). “Randy, Red, Superfreak and Julia” – Nearly two months after Olivia and Jake boarded a private jet to stand in the sun together, everything has changed. With another four years in the White House, Fitz and Cyrus are doing everything they can to make a positive impact on the nation. 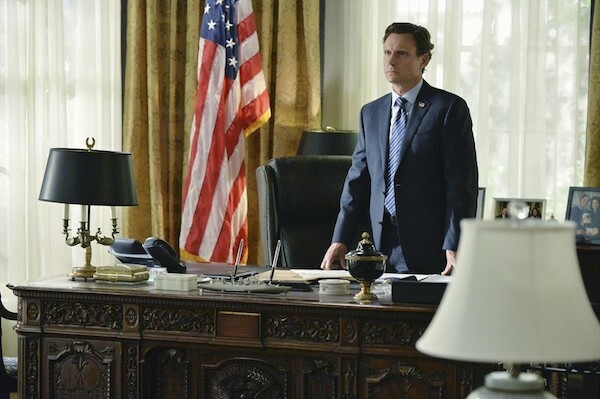 Meanwhile, Mellie struggles to cope with the loss of her son and the gladiators feel the impact of Olivia’s absence, on the Season 4 premiere of “Scandal,” THURSDAY SEPTEMBER 25 (9:00-10:00 p.m., ET) on the ABC Television Network. It seems like Mellie has become much more of a sympathetic character in recent seasons, especially when we take into account the dark history she has involving Fitz's father. But the tragic loss of her son in Season 3 may be her most heart wrenching arc yet. It'll be very interesting to see where the story takes Bellamy Young's character in Season 4. Meanwhile, there's Fitz and Cyrus, sounding as though they're hard at work and trying to stay positive, at least as it relates to their work. Is this work-related stress we're seeing? 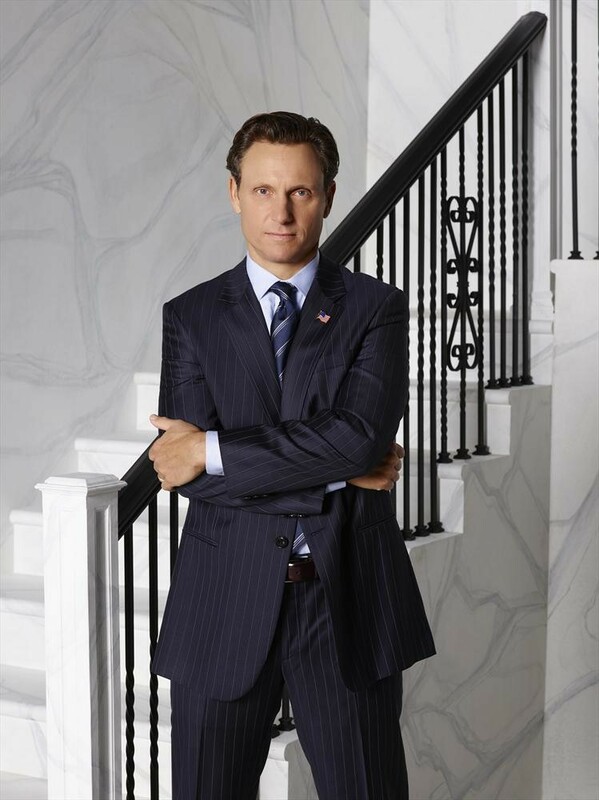 Or are other matters -- like the death of his son and the absences of Olivia -- weighing on him as well? 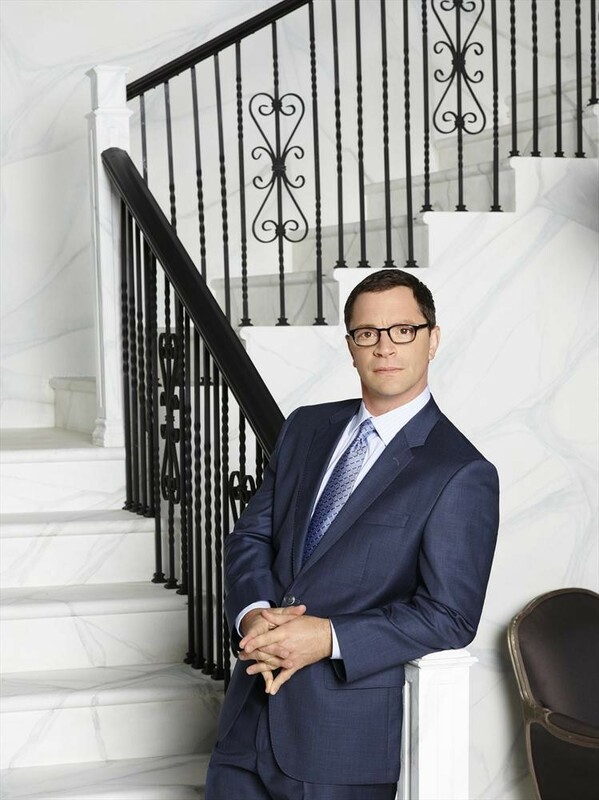 You can see Cyrus, Huck, David, Abby and Jake in their character photos in the gallery below. 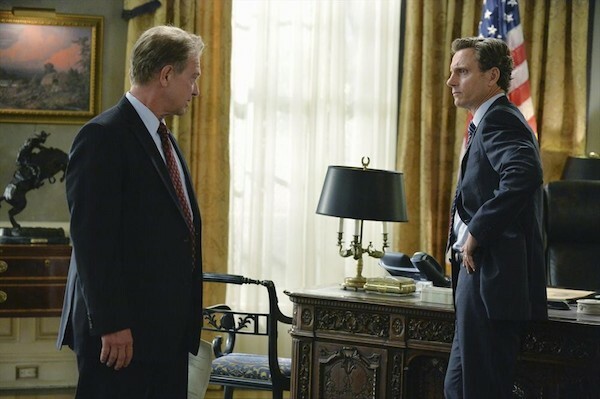 Scandal is set to return Thursday, September 25 on ABC. If you haven't seen it yet, catch the teaser for Season 4 here.